We added the Store to the navigation bar and moved History under Tour. If you press tour, you will see options for upcoming shows or past ones. We hope that works well for everyone. Moonalice STORE!!! Posters and Book for sale! The Tribe is going commercial, just in time for the holidays! 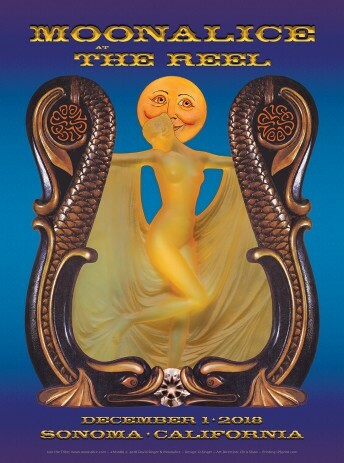 The Moonalice Store has first edition posters, as well as our book, The Moonalice Legend: Posters & Words, Vol. 1. We are working together with our poster artists to promote their art, spread the Legend, and support collectors. At Moonalice, our prices are low and value is high! 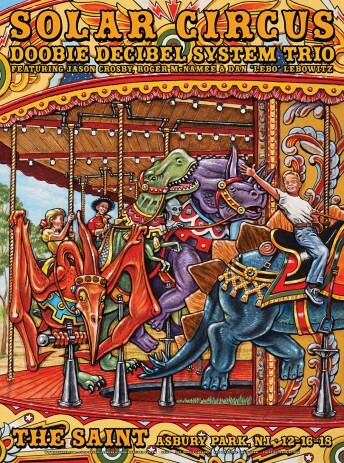 Press the Moonalice Store button one inch to the left, or go to . . .
East Coast gigs added in April and May!!!! We just added confirmed dates in California, Virginia, Pennsylvania, Massachusetts and New York at the end of April. New Live Dowload!!! 8-9-08 from Felton, CA!!! 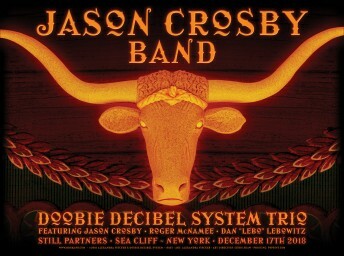 We just posted the 8-9-08 show from Felton, CA on our Music page! This is the first of a new series; we plan to post about one show a week. Upcoming downloads will include Greensburg, PA, Earthdance, Columbus, OH, and Fall River, MA, among others. If you have requests, let us know what they are. End of year tour dates added!!! We'll be playing dates with the New Riders in San Francisco, Petaluma, Eugene, and Portland. 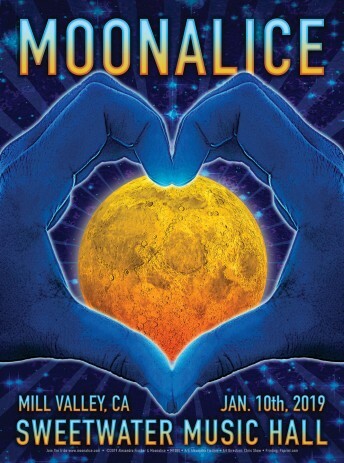 We have "evening with Moonalice" shows in Coos Bay, OR and Eureka, CA. 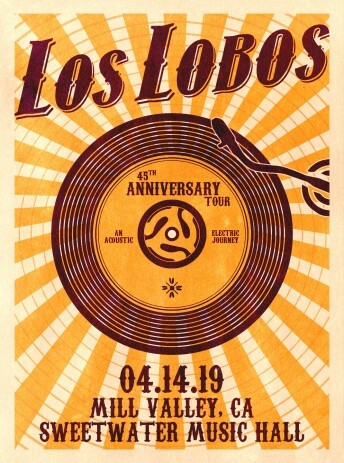 At the end of the year, we'll be playing our first Los Angeles show at the House of Blues, opening for Marshall Tucker Band. 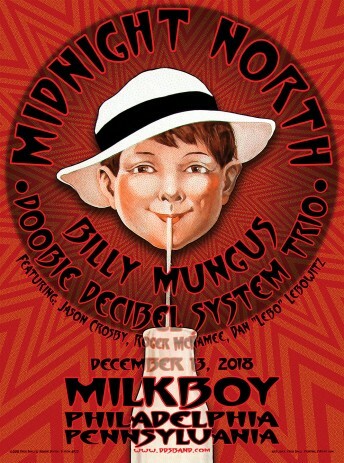 We have an 80 minute set that night, so it should be a fantastic gig. 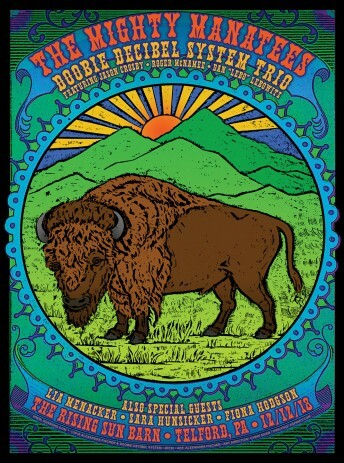 For New Year's Eve, we'll share the bill with Tea Leaf Green at the Mezzanine in San Francisco. Details are on the Tour page. Fall River show (Oct 10) available for streaming! It's on Martha's Vineyard Radio . . . The stream is in Windows Media, so if you are on a Mac, you need Flip4Mac to play it. 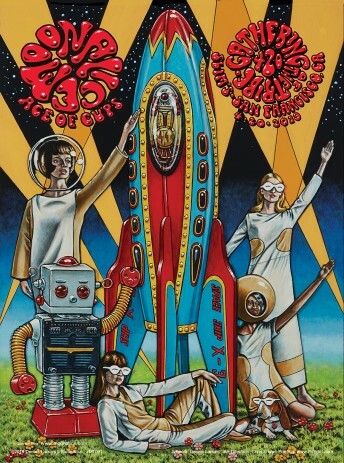 Moonalice Poster Book Goes to Press! 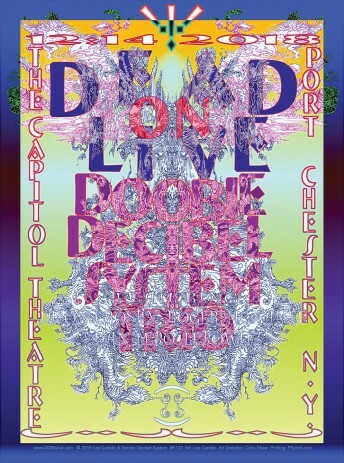 Moonalice Legend: Posters & Words, Vol. 1 has come back from the printer!!! The book includes every poster and legend from the band's first year in a high quality 7"x9" paperback. Chris Shaw did the art direction. The folks at Jay Blakesberg Photography did the page layout. We're scrambling to get an e-commerce capability up on our website so that you can get it. According to Moonalice legend, the great producer T. Bone Burnett suggested that we start a new band. He also offered to produce our first CD. How could we say no? The CD is now done . . . and we're planning to release it in February 2009! We're packing some really cool stuff into the package . . . stay tuned for details. The band has been invited to headline a fundraiser for the Obama campaign! Tickets: $250 and up (it's a fundraiser!!) . . . 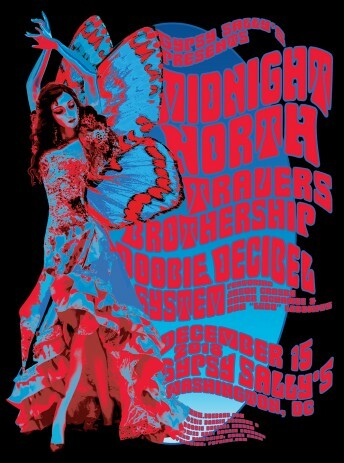 If you cannot afford to pay, send us an email at management@moonaliceband.com. Our set begins at 8:30pm. If you want to attend, send a message to steve@marchick.com. Talk Like a Pirate, Arghhhh! Join the ITLAP chat in our Forum section.